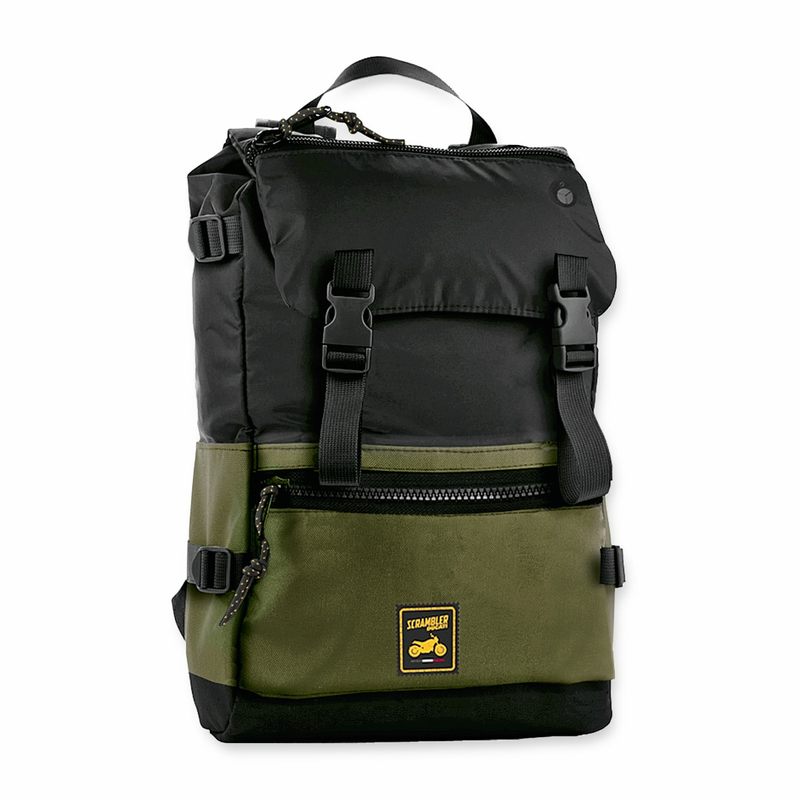 An outdoor and casual essence for the 800D polyester rucksack with eco leather base. The iconic colours of the Scrambler alternate in this extremely functional item: spacious front pockets, one mesh side pocket and an internal compartment with padding to protect a pc. Padded back and shoulders for optimum comfort. Dimensions: 29x46x16 cm.